In rabbits, black hair is dominant to brown hair. 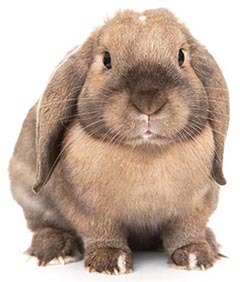 Also in rabbits, long straight ears are dominant to floppy ears. 1. 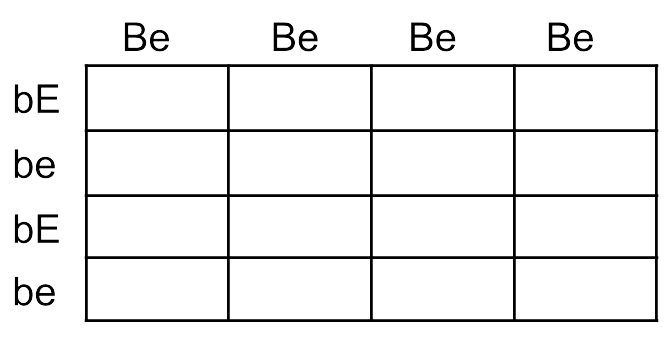 A male rabbit with the genotype BBee is crossed with a female rabbit with the genotype bbEe The square is set up below. Fill it out and determine the phenotypes and proportions in the offspring. A fly that is heterozygous for both traits (GgEe) is crossed with one that has vestigial wings and sepia eyes (ggee). Set up a Punnett square and list the phenotypic ratio of the offspring. 4. Show a dihybrid cross for fruit flies. GgEe x GgEe. List all the possible phenotypes and the number that is expected from this cross. Be careful when counting the number for each phenotype, it is easy to make a mistake.